The OTDS Autumn Weekend in Eastbourne was held on the weekend when the UK was hit by Storm St Jude on the Sunday night. Despite this three members of Summertime (Joyce, Rhona and Florence) went down for all three days whereas Richard and my wife and I could only go down for the main Ball on Saturday night due to prior commitments. Therefore this report only covers the Saturday night. It was a memorable journey down on Saturday trying out the M25 in both directions. As the main hotel was full we stayed in an excellent Premier Inn on the outskirts of Eastbourne. I assume the staff were celebrating Halloween early as they were all dressed as Vampires and ghouls. Music for the weekend was to be provided by Malcolm Wilce but he failed to turn up due to illness. 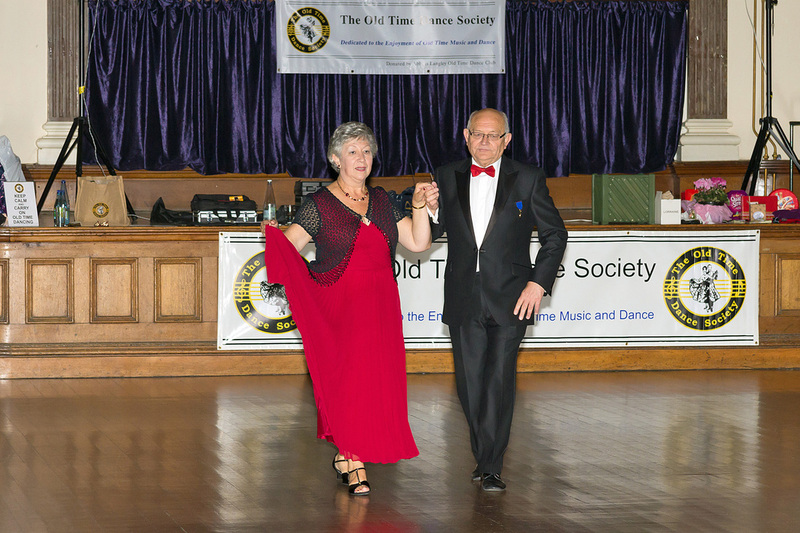 Therefore the music was provided by the popular MCs for the evening Paul (OTDS Chairman) & Hazel Harding. Their selection of music was so good that we quickly forgot the lack of an organist. Paul and Hazel generated an excellent fun filled atmosphere and their leading off was greeted with tumultuous applause and cheers. The location for the weekend was the Assembly Hall at the Town Hall. Apparently the floor was extremely sticky on the Friday night so Paul & Hazel and other volunteers spent Saturday cleaning the floor which worked wonders. The dance programme was varied with something for everyone. There was one fairly new classical dance on the programme - the Winter Waltz which I was pleased to see was danced by the majority present. 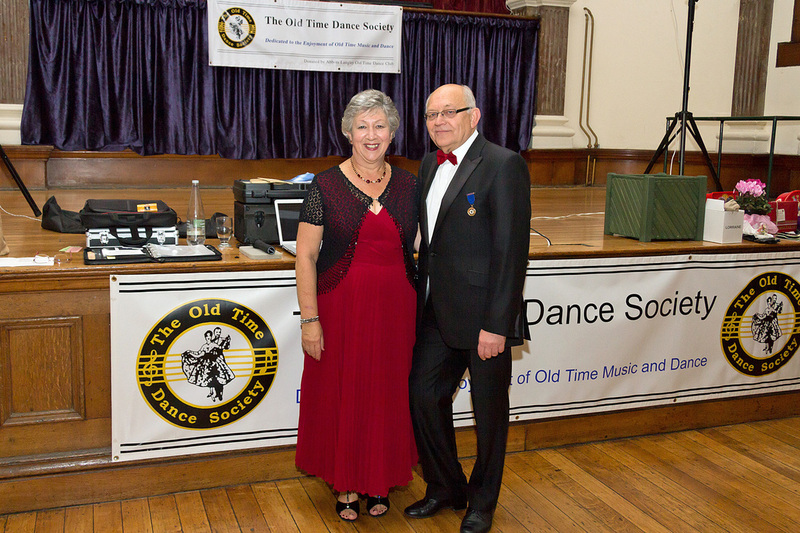 There were also a range of more Traditional Old Time dances such as the Alison & Chester Waltzes, Serene & Kaybee Saunter and the Waverley Two Step. The Leaders dances were the Tango Solair and the Bambi Blues. The progressive dance was the Anniversary Two Step and the Tango Serida. The set dance was the Lancers which was well supported with eight sets taking part. A very large raffle was held and Richard managed to win a prize which was the icing on his evening. The evening was a great success and I heard nothing but positive feedback from the other attendees I spoke to. 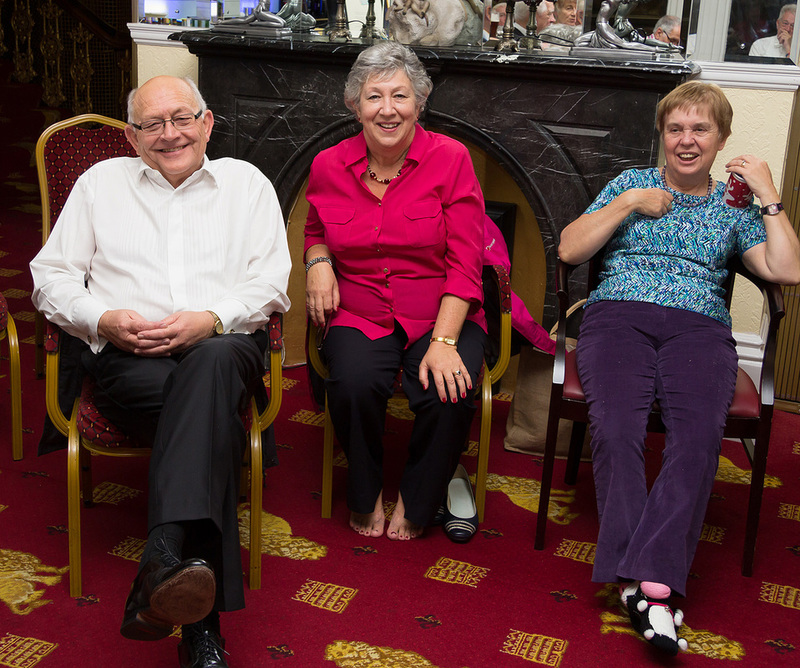 We all enjoyed the evening immensely and hope to see Paul & Hazel running another OTDS evening before long. A photo page can be found here. Our journey home on the Sunday was uneventful and we hope that the storm does not make the journey home on Monday for the remaining attendees too problematic.